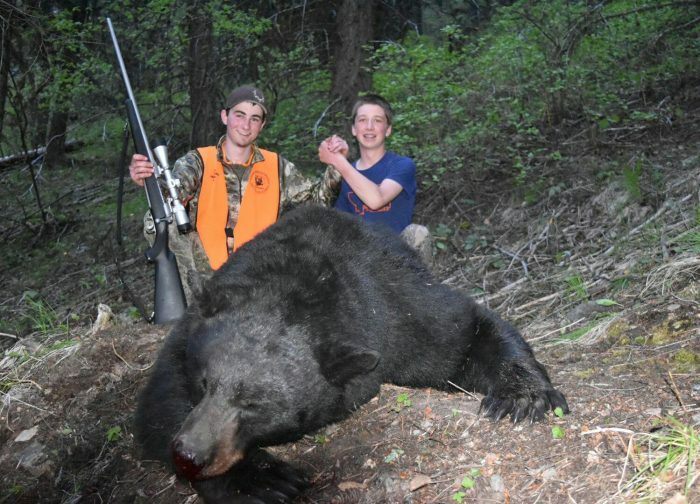 Huge 2017 Montana Spring Bear! Wyatt O’Day shot this beast near Tarkio this spring. His buddy, Tanner Haskins, helped get it to their truck.